SOUTHINGTON - Salon Margo is offering free haircuts to federal workers affected by the partial government shutdown. Salon Margo was established by Marguerite Swan of Farmington in October 2017. It was originally in Plainville, but is now at 1079 Queen St. Salon Margo is in a 1,200-square-foot unit with six spaces available for rent to other hair stylists. Four of those spaces are open. During the government shutdown, Swan said she wants to help federal workers who may be going through financial hardship and offer them free haircuts. Federal workers must show a form of identification. Swan sponsors a group of teens and wants to reach out to people in her community and others. Because Swan grew up in the foster care system, part of her hope is to be able to help children who are less privileged. She wants to do it so by building a team that contributes to the community by raising funds and learning that most things are not just given, but earned. One of Swan’s goals is to create a nonprofit organization. Swan also gives discounted haircuts to firefighters. One of her plans for her teen group is to go out to offer haircuts to the homeless. Swan also sells jars of jams at her salon. The proceeds are used for food that is donated to the shelter at St. Vincent DePaul Mission of Bristol. The jam is made from fruit donated by Jan Gyurko, of Bristol. The jam fundraiser has been ongoing since Swan first opened. Swan said she wants to build not just a different kind of business but a different community. She is also trying to revive the annual softball game between Plainville police and firefighters. Salon Margo is open Tuesdays and Thursdays 10 a.m. to 8 p.m., Wednesdays 10 a.m. to 6 p.m., Fridays 9:30 a.m. to 6 p.m. and Saturday 9 a.m. to 4 p.m.
To learn more about the business visit Salon Margo on Facebook or call 860-573 -9228 to book an appointment. 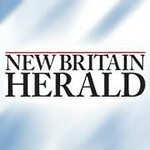 Posted in New Britain Herald, Business, Southington Herald on Thursday, 24 January 2019 20:56. Updated: Thursday, 24 January 2019 20:59.